The Fifth of November, Guy Fawkes' Night, Bonfire Night, Fireworks Night, or whatever you want to call it is a celebration in the United Kingdom and certain other countries centred around a historical event known as the Gunpowder Plot. Many people know it because of the excellent comic and subsequent film adaptation V for Vendetta, but as wonderful as it is, it doesn't greatly explain much about the actual historical event. That's why we at Nintendo Life in our infinite wisdom decided to tell the tale of Guy Fawkes through the only medium we know: video games. 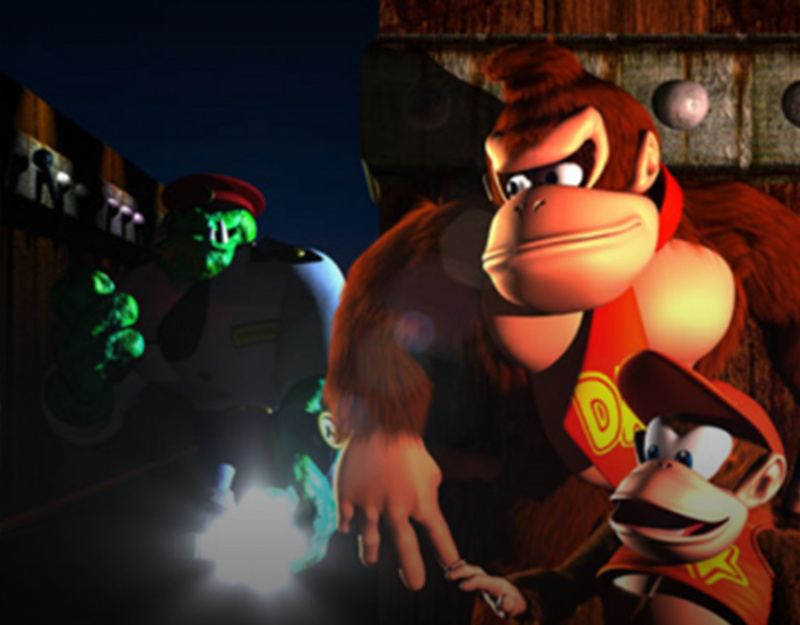 In the video below this humble video-maker has used footage from the excellent Donkey Kong 64 to tell the story in a relatively detailed manner, but without getting too bogged down in the boring stuff, so check it out! Further proof that history is more fun when video games are used. Speaking of which, I'm off to get African Kingdoms for Age of Empires II HD! Awesome video, it even taught me a few things! And seeing Lanky as Guy Fawkes really made me laugh! I enjoyed the vid and it's good to see British holidays celebrated on here too. The bonfire was traditionally a celebratory fire following a feast in which the bones of the animals eaten were burnt (bone + fire = bonfire) and there were many bonefires in June, celebrating the solstice/Saints' days. Later, heretics were added to the fire to see their bones well and truly destroyed. Can't beat Medieval England for a bit of bloodthirsty destruction in the name of religion. So that's why there's an effigy of Guy Fawkes that is supposed to be burnt. Lewes is choosing a different effigy this year. I wonder if it's technically treason, though that isn't punishable any more. I almost thought that this was going to be a canceled part of Donkey Kong 64 that was just discovered and documented. I'm 24 and never heard about this (I live in the US too.) Pretty interesting stuff. Also, DK64 is my favorite game so that was cool that you used it. Didn't doubt Donkey would do this dastardly scheme some deserved justice with deep detail, discovering destructive deeds without denying dedication. Despite dubious detractors, dashing heroes would want to delicately describe themselves, so let me introduce myself as... D.
... K. As in, Donkey Kong. I first read V for Vendetta earlier this year; it's an incredible look at how anarchy is not always necessarily a bad thing. It is overtly controlling governments who try to disempower the people who claim it is unequivocally evil. Of course, there needs to be some form of order, but not so much that it becomes authoritarian. Considering Rare has a history of using these kinds of concepts in the background of their games, I wouldn't be surprised if the Gunpowder plot was considered for use or lampooning in Donkey Kong 64. Nice video! I've known the story of Guy Fawkes Day for years from studying history, but your take was very fresh and interesting. Semi-related fun fact: Grant Kirkhope says that his favorite DK64 song is the Creepy Castle theme. Man, just watching the video made my yearning for a DK64 sequel all the more unbearable.